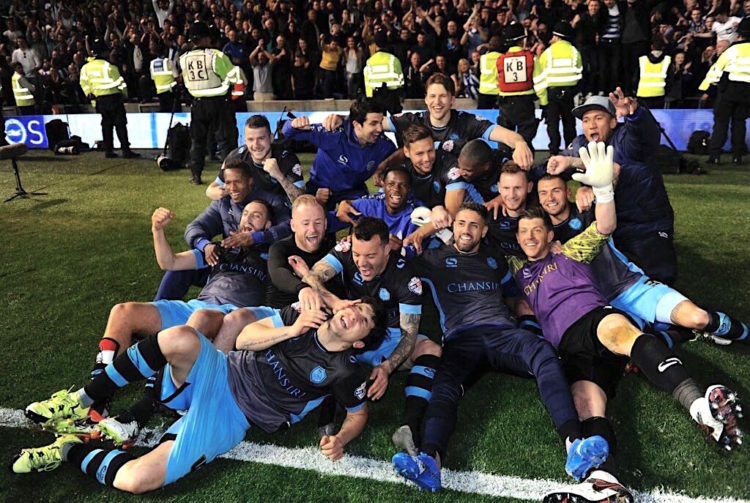 Wednesday v Brighton: The Stats – Off To Wembley! Terrifying. That’s what last night was. Personally, I’ve never seen a side come out of the blocks like Brighton & Hove Albion did against Sheffield Wednesday yesterday evening, and as Carlos Carvalhal said, as much as Wednesday deserved to go through, Brighton didn’t deserve to go out. The first 45 minutes was an absolute barrage on the Owls goal, and it will come as no surprise to any Wednesdayites who watched the game that – in a large way – the statistics lean the way of the Seagulls. However, as has been the case on many occasions in 2015/16, the game statistics and the goal statistics weren’t really in correlation. On another day the Owls could have been dead and buried at the break, but lady luck – and Kieren Westwood – was on our side and they scored just the one goal (their first against Wednesday since 2013, by the way). The game ended with Brighton having 67% of the possession compared to Wednesday’s 32%, and with the hosts having just over 200 more touches on the ball than the visitors (637/436). Chris Hughton’s boys had a higher pass completion rate (78%/62%), higher pass count (455/240), and made more than double the amount of accurate passes (354/148) than Carvalhal’s team. And on top of that Beram Kayal (3) and Steve Sidwell (2) made nearly as many key passes as the entire Wednesday team (6), with Brighton making over double that in total (14). Fernando Forestieri, who put in another brilliant shift, was the only Owl to have any statistic to shout about, with no player on the field finishing with a higher pass completion rate than he did (94%). As previously mentioned, in terms of going forward it could have been over by half time. Hughton’s men came out of the gates like rabid dogs when the game kicked off, and could’ve have five or six goals if it wasn’t for some great defending/goalkeeping, some bad luck and a coat of paint on the post. Brighton had more than triple the amount of shots (27/8), triple the amount of shots on target (9/3), and James Wilson had nearly as many shots on his own (6) than the whole Wednesday team combined. No player in black had more than one shot on target all game, and add to that the fact that Ross Wallace’s goal wasn’t really even a shot, and I think Carvalhal will feel that the 1-1 draw was a tad fortuitous on the night. In terms of attacking movements, Forestieri, Bayal and Anthony Knockaert did their bit, winning four dribbles each, while Lewis Dunk and Wilson (7) pipped Atdhe Nuhiu when it came to offensive aerials. It says a lot about Brighton’s attacking threat – and Wednesday’s defensive effort – that in terms of the defensive statistics, one team ruled the roost. SWFC won more tackles (21/13), made more interceptions (18/10), and had a higher tackle success rate (50%/58%) than BHAFC, and on top of that made a whopping 58 clearances over the 90 minutes. That’s over triple the amount that Brighton made in the game (18). Sam Hutchinson (5) – despite being a second half substitute – made the most successful tackles in the game, closely followed by Forestieri (4), while Tom Lees (16) and Glenn Loovens (13) topped the clearances chart. Lees also won more aerial battles than any other player (7), though his counterpart, Bruno, had the highest success rate (80%). On the night, I think it’s probably safe to say that Brighton probably deserved to win the game, but over two legs Wednesday showed themselves to be a fine attacking threat and a capable defensive team, digging deep when they had to. Having weathered the storm in the first half, the second stanza was a lot more comfortable for the Owls, and they managed to cut down Brighton’s chances and increase their own by nearly triple the amount. There is no doubt that CC’s boys need to play more like they did at home when they head to Wembley later this month, even if it’s for no other reason than the fact that I’m flying over from South Africa to be there!